1. Do you find it very difficult to lose weight? 2. Are you often tired, even after a good night’s sleep? 3. Do you have high cholesterol, even when you eat right and exercise every day? 4. Do you have cravings for coffee, sugar, or junk food? 5. Having Trouble with YOur Digestion? Those are symptoms of “toxic overload.” And if you answered “yes” to any of the above, then your body is crying out for the Beachbody Ultimate Reset. • Helped lower cholesterol an average of 29 points in 21 days! • Resulted in average weight loss of 9 pounds in 21 days! • Dramatically helped increase daily energy in 21 days! Reclaim balance, release toxins, and restore your body to its optimum health. Find out how the Ultimate Reset can give you results like these. 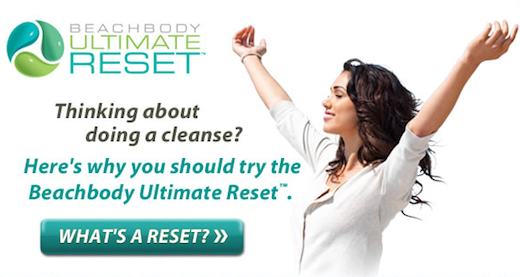 Learn more by visiting Extremely-Fit’s newest website dedicated to the Ultimate Reset. Still Extremely-Fit… just a brand new dedicated website. You may also watch the video for more information. NextHow to Keep Motivated With the Insanity Workout! Is your HEALTHY Diet Making You FAT? Salt: Taste Bud Thriller or Silent Killer?